Regular rolling produces a firmer, truer and smoother putting surface. 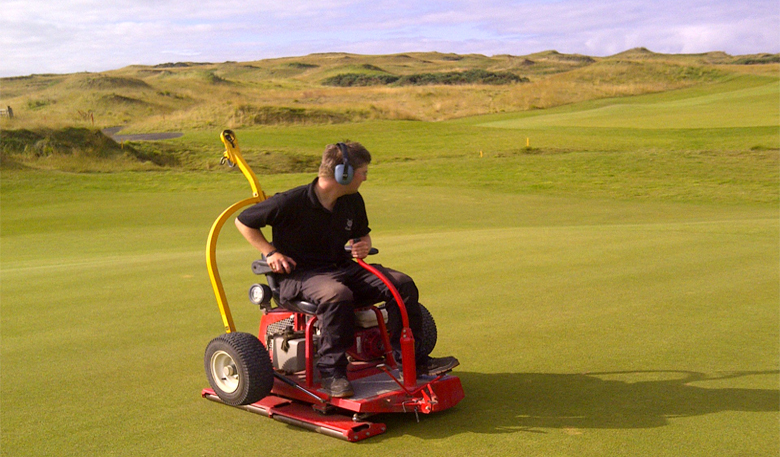 An increasing trend in maintaining greens over the past 10 years has been greens rolling. It’s a key operation which takes place throughout the year and has a number of benefits. It helps smooth out any small surface imperfections like pitch marks and spike marks. Rolling is also carried out after maintenance operations that may affect surface smoothness such as spiking as it reduces any disruption that might have been caused. Regular rolling produces a firmer, truer and smoother putting surface. This has an impact on green speed as the smoother the surface, the less resistance there is on the ball and the further it will roll! The most important aspect, however, is the ability through rolling to maintain the desired levels of green speed without having to cut any lower than is necessary. This has a positive effect on turf health as the grass plant is not placed under as much stress. 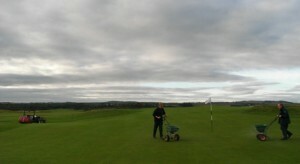 It’s an important part of maintaining and managing the finer grasses that we are growing on the Links. The frequency of rolling depends on the time of year or if we have special events and tournaments. 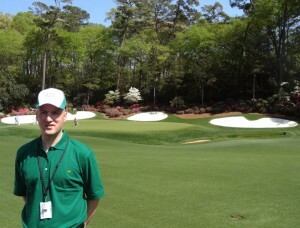 We might roll daily during major tournaments depending on growth and the desired speeds. For general play we roll on average three to four times per week. We will roll greens in place of mowing during the winter months when growth has stopped or slowed down to maintain surface smoothness.